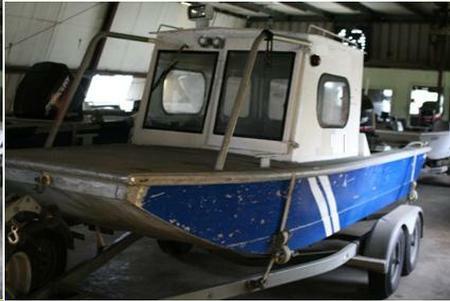 Used all aluminium custom built crew-jo boat. 2008 Mercury 2 stroke 90HP outboard. No Trailer. In good overall condition. LENGTH: 18 FT. / 5.49 MT. BEAM: 8 FT. / 2.44 MT. MAIN ENGINES: 1 Mercury 2 stroke (2008)_ HRS.